Do people choose to be addicted - Join the debate. Do people choose to be addicted? Whether an individual chooses addiction has always created much debate. Generally there seems to be two schools of thought around addiction and the causes of it. Those who are affected by an addicts selfish and inconsiderate behaviour will tend to feel anger towards the individual, and perhaps feel that they are choosing to live in a way that causes destruction and annihilation of all things good around them. It’s hardly surprising, as the addict often seems to choose their addiction above all else. To those around the addict, this may make no rational sense at all and leave feelings of bitterness, resentment and sometimes even indifference towards their loved one. Even when the problem is blatantly obvious to others, the addict may still maintain that they are in control and that others are over reacting. So are they really enjoying their addiction so much that they will pursue it at any cost?. Even if it means the breakdown of their marriage, estrangement from children, financial loss and serious health risks?. What drives an individual to these extremes? 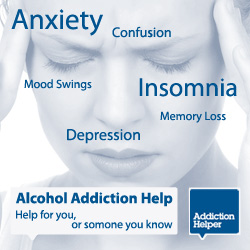 Addiction is very difficult to comprehend by those who have not experienced it or studied it. The other school of though is generally held by addiction professionals, who recognise addiction to be an illness that requires treatment, much like any other ailment, mental or physical. Most medical and mental illnesses buck the trend of what is considered to be the norm. Experts and the medical profession spend billions trying to find cures and treatments to rectify them. Clinical mental illnesses such as Depression and Anxiety also make no rational sense to those not in the know, and the sufferers are often perceived as choosing to feel sorry for themselves or think and act in a certain way, indulging negativity and rejecting reason, whilst their loved ones look on in utter despair and anguish. Yet it is recognised by the medical profession as a chemical imbalance or a reactive psychological disorder that required treatment with medication and or therapy. Could this be true of addiction? This blog post has been written, not to enforce an opinion, but to hopefully provoke a more balanced debate based on the most recent scientific and medical evidence available. After four years of research conducted by more than 80 experts, a new definition of what addiction is has been released by the ASAM (The American Society of Addiction Medicine) . Dr Michael Miller who oversaw the research at the ASAM and also the development of the reviewed definition of addiction, felt that addiction is attributed to a neurological disorder that manifests in addictive behaviours and substance misuse, created by a neurological craving. The experts at the ASAM concluded that addiction is a brain disorder. To those who have suffered from addiction and are overwhelmed by the compulsion to satisfy their craving, this explanation and definition makes sense. The new definition also classifies addiction as a primary disease, meaning that it is not a result of emotional or psychiatric problems. It is a cause in its own right. Whilst the new definition may confirm that addiction is not a choice, like with any illness, for treatment to be successful the individual has to be willing to engage and accept it, whether the distorted thinking and perception interferes with this choice to accept treatment for recovery sparks a whole new debate. Do people choose to be addicted? What do you think? We would love to hear everyone’s view on this.